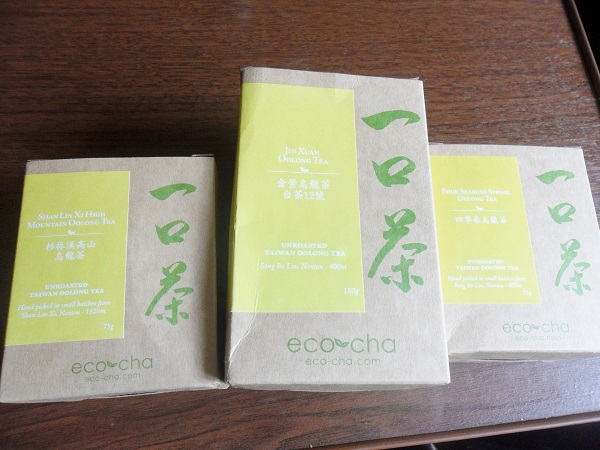 I am lucky enough to have won a contest a few weeks ago that Eco Cha held via their official Twitter. My winning tea was 150g of Jin Xuan, 75g of Four Seasons Spring and 75g of Shan Lin Xi High Mountain. 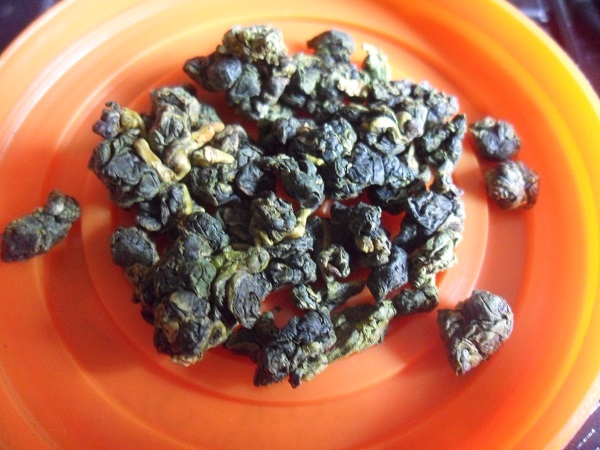 A magnificent lot of Oolong picked this year (2014) and a wonderful introduction to the company. 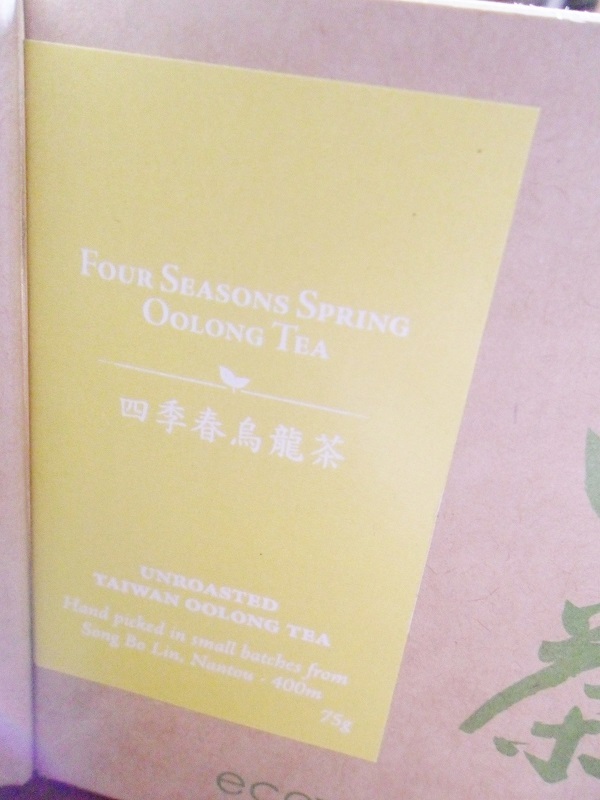 Their website offers a small selection of especially chosen teas (mostly Oolong) with ample information (such as area grown, height, brewing tips and harvest dates) as well as wonderful gift sets to suit everyone. 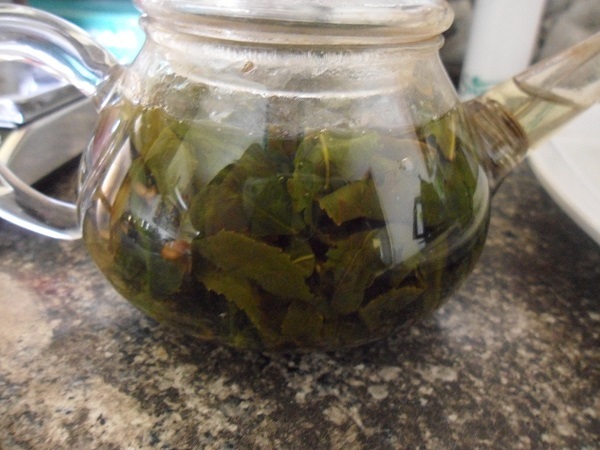 While they may not be the cheapest source for tea they offer high quality artisan teas that you are not likely to find advertised anywhere else and to sweeten the deal they offer a $6 global shipping rate with free shipping with orders over $75. 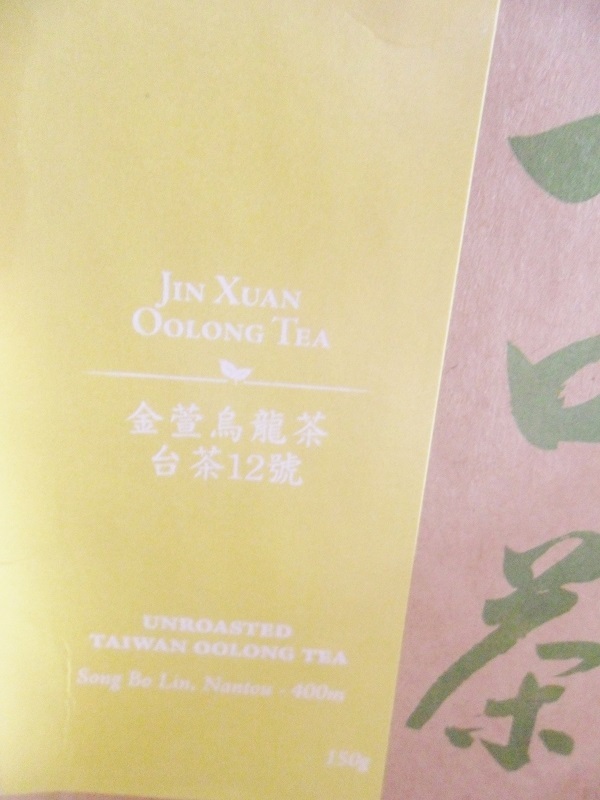 This batch of tea was sourced from an artisan who won first prize in both spring and winter of last year’s Nantou County Jin Xuan Dong Ding Oolong Tea Competitions. His co-op of farmers use no weed killers, and chemical analyses for fertilizers and pesticides show their samples to be a small fraction of the accepted amounts set by international standards. A prime example of sustainable methods combined with community-based expertise. Harvest: Machine cut in medium batches. April 2014. Nantou, Taiwan. 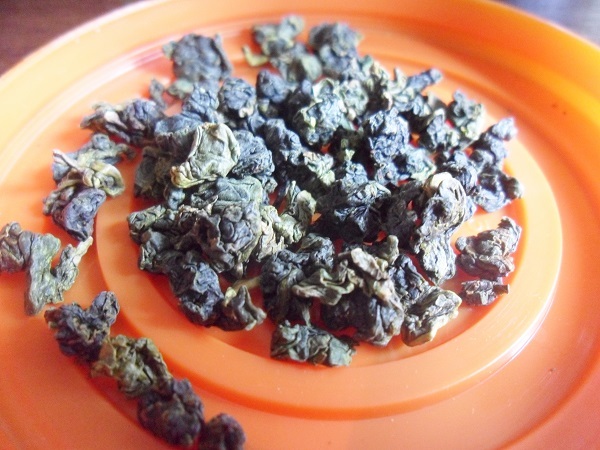 The Oolong balls are small/medium in size and are made up of brown, dark green, burnt yellow and medium green coloured leaves. I can see no impurities on the leaves such as spots or loss of colour nor can I see twigs/sticks amongst the balls. A quick sniff-spection reveals a beautiful sweet and floral scent with a touch of cream and butter. 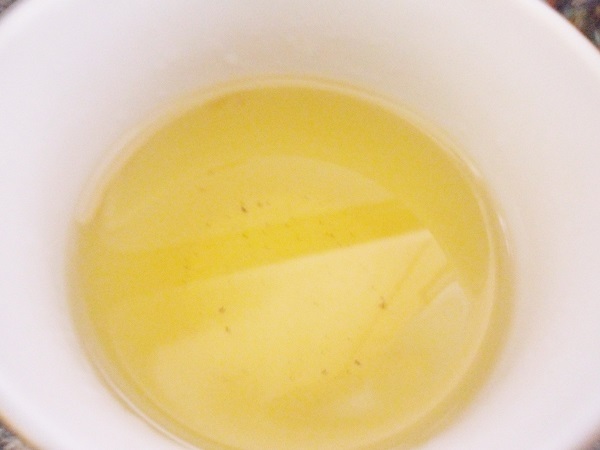 Once steeped the tea is yellow in colour with a highly buttery and floral scent. In flavour this is of medium strength with sweet floral and creamy butter notes that melt in the mouth and leave a fresh yet fragrant after taste. Also has some vegetal notes that resemble sweetcorn. Very fresh and delicious overall, more floral than milk and I think the balance is perfect. This tea garden is a prototype of sustainable tea farming, and is an anomaly in its region This farmer only harvests 3 times a year as opposed to the common practice 5 or 6 times a year. This allows the plants to grow more naturally and maintain optimal nourishment. Almost all tea in this region is machine harvested, but this farmer hand picks these leaves. He is dedicated to the highest quality possible by producing small amounts of carefully crafted tea. We are very excited about this new source. Harvest: Hand-picked in small batches, only 3 times a year. April 2014. Song Bo Lin, Nantou, Taiwan. The Oolong balls are medium/large in size and are made up of brown, dark green, burnt yellow and medium green coloured leaves. I can see no impurities on the leaves such as spots or loss of colour nor can I see twigs/sticks amongst the balls. A quick sniff-spection reveals an elegant sweet and floral scent with a touch of grass. 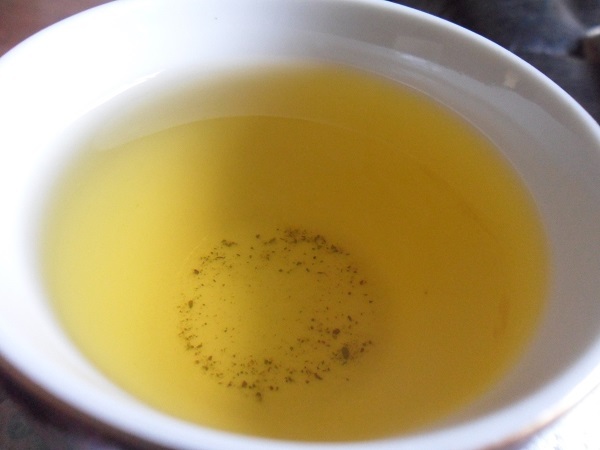 Once steeped the tea is golden yellow in colour with a sweet floral and grassy scent. In flavour this is of medium/strong strength with sweet floral and grassy yet vegetal notes. The somewhat greenness flavour makes this taste very fresh. Quite earthy vegetables but green like string bean or sweet pea. This farm is managed by a husband and wife team who transformed their plot of virgin high mountain bamboo forest into a tea garden just ten years ago. This spring’s tea was harvested in five days with an average of 250 pounds of tea made per day, which is in contrast to around 1000 pounds a day from larger productions in the area. Harvest: Hand picked in small batches. May 2014. Shan Lin Xi, Nantou, Taiwan. The Oolong balls are medium/large in size and are made up of brown, dark green, burnt yellow and medium green coloured leaves. I can see no impurities on the leaves such as spots or loss of colour nor can I see twigs/sticks amongst the balls. A quick sniff-spection reveals a wonderful sweet grass and floral scent which is lightly perfumed and vegetal. 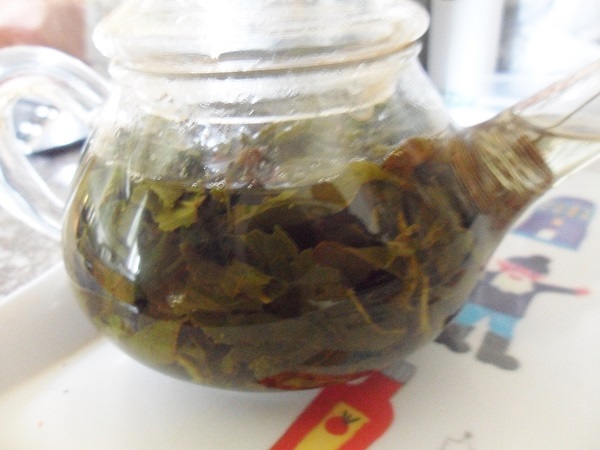 Once steeped the tea is yellow in colour with a sweet grass scent. In flavour this is of medium strength with pure sweet grass and sweet flower notes. Also some vegetal notes too. Sweetpea, sweetcorn, fresh asparagus and buttercup all in one delicious, smooth yet vibrant tea. This has been a wonderful introduction into the artisan tea world that is Eco Cha and I can happily say that I will be back. 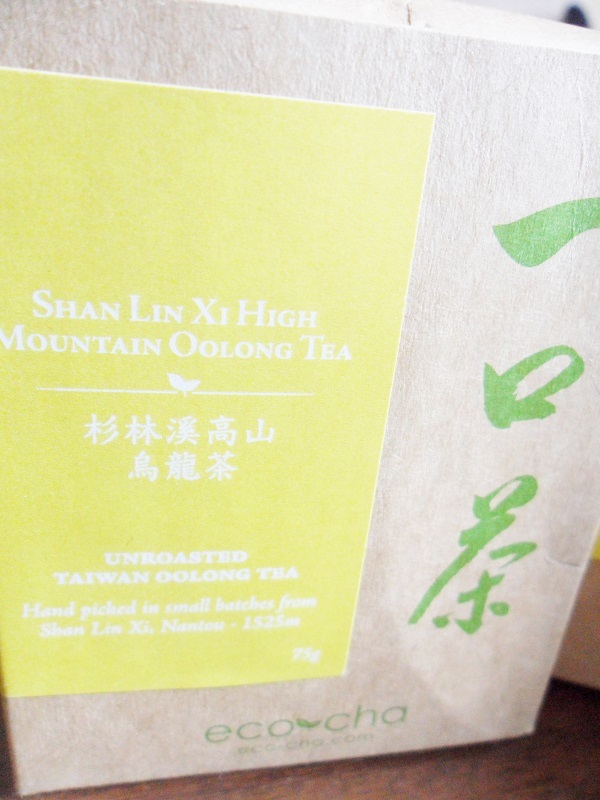 Out of my three Oolongs I found the Shan Li Xin High Mountain the tastiest and it has everything I look for in a low oxidised Oolong. It’s freshness and purity makes it one of the nicest I have tried. I highly recommend Eco Cha and I want to thank them very much for giving me the opportunity to taste these wonderful Oolong.